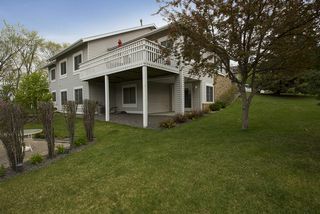 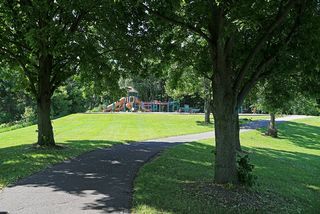 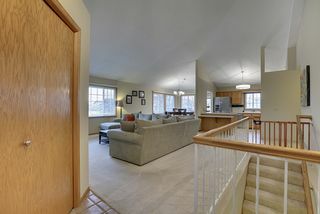 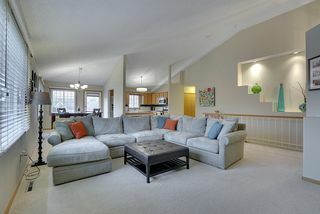 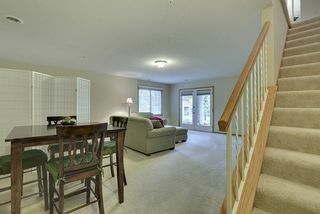 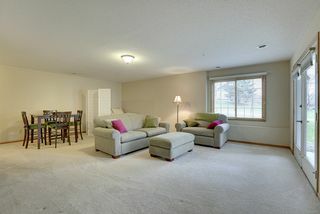 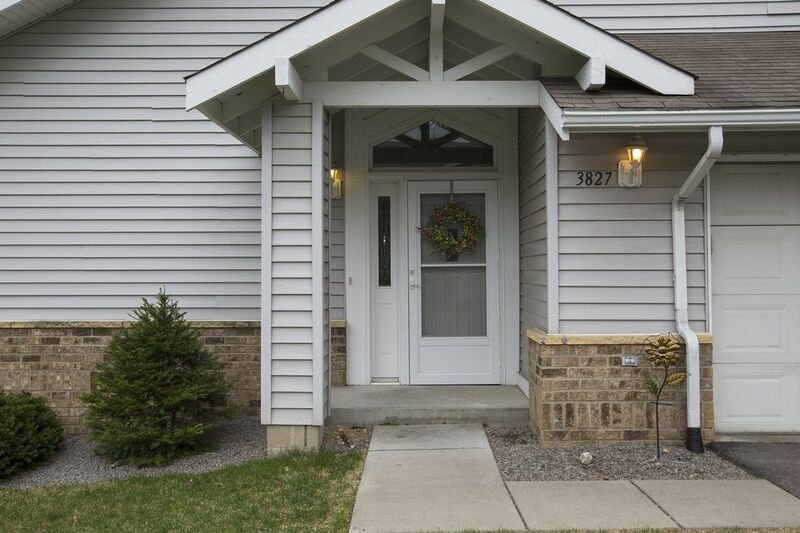 This beautiful end-unit townhome is located in the highly desired Parkview Ridge neighborhoods of Plymouth. 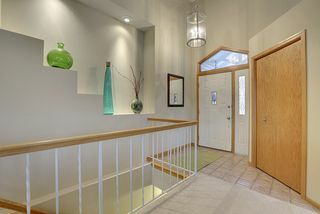 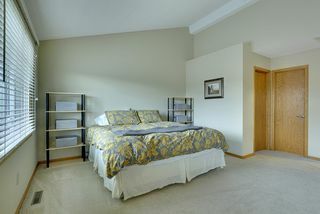 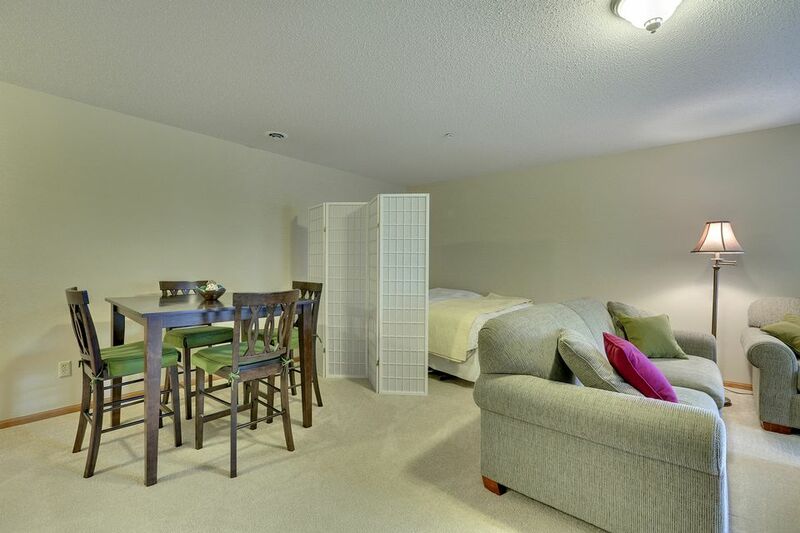 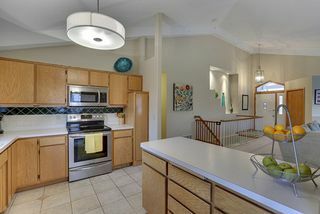 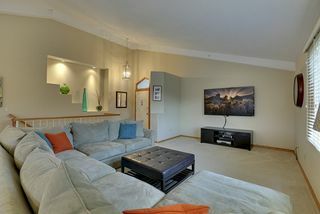 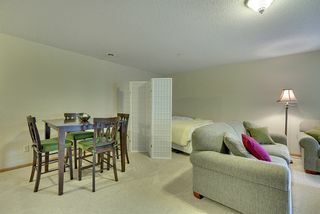 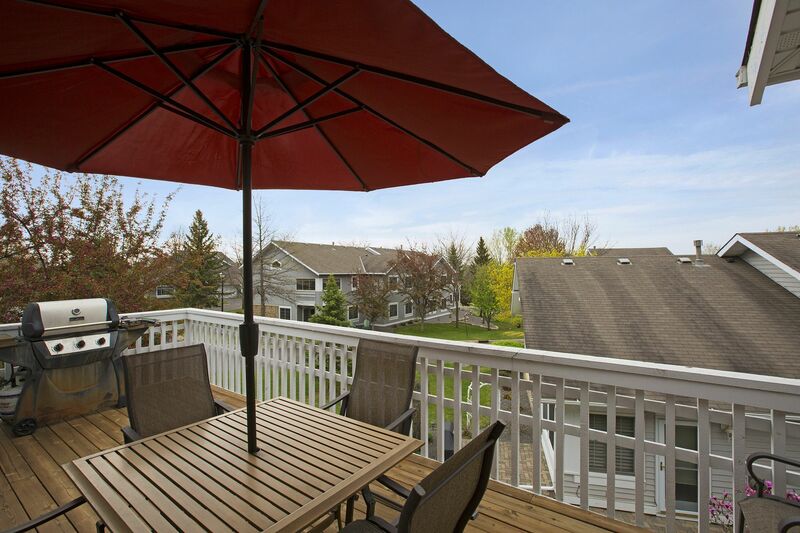 With three bedrooms and two bathrooms, this townhome boasts of over 2,600 sq. 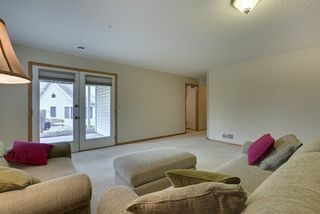 feet of finished living. 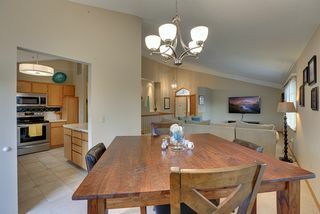 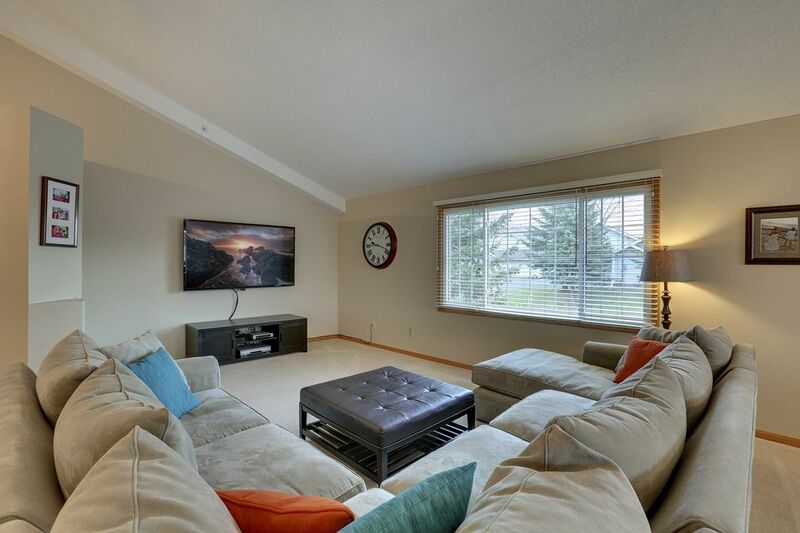 You’ll enjoy a spacious living room that includes vaulted ceilings, formal dining room, kitchen with breakfast bar and stainless steel appliances, deck, and master suite with walk-in closet. 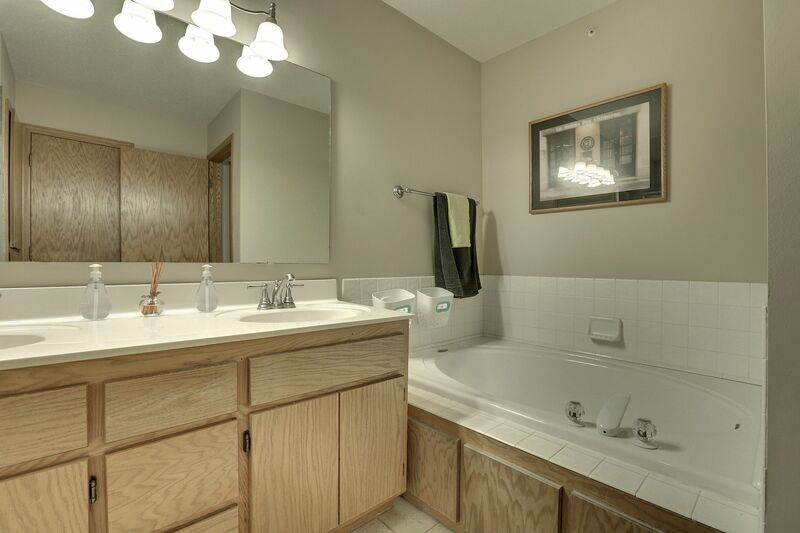 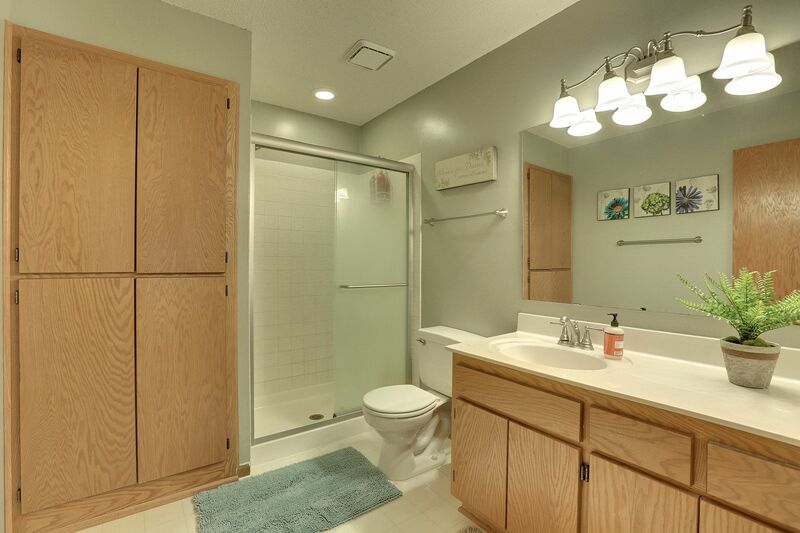 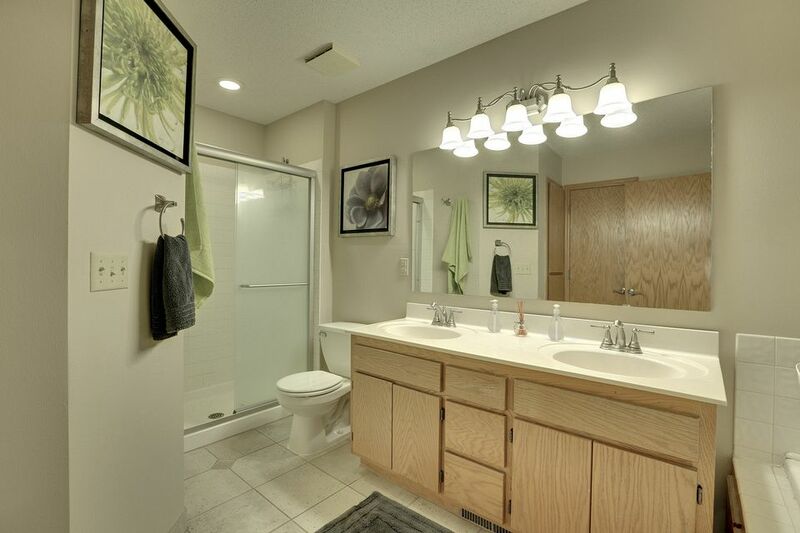 The full bath features a double vanity and separate tub/shower. 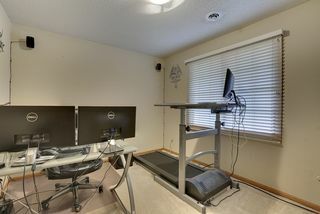 Two lower level bedrooms, family room, office, and additional ¾ bath give this home ample living space with multiple areas to entertain guests. 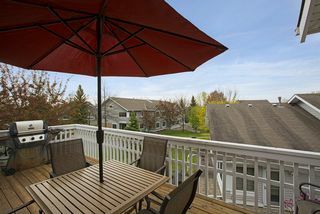 The deck was recently refinished, and you’ll also enjoy a private lower level patio. 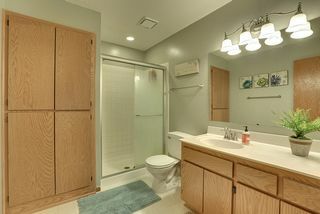 Several updates have been made to the home, including new chrome light fixtures, faucets, shower fixtures, and shower doors. 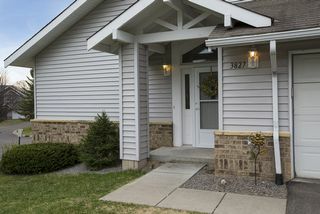 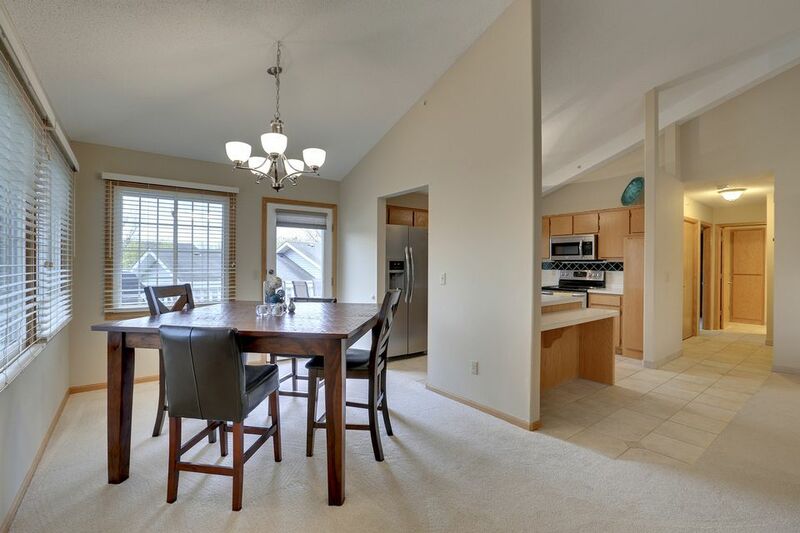 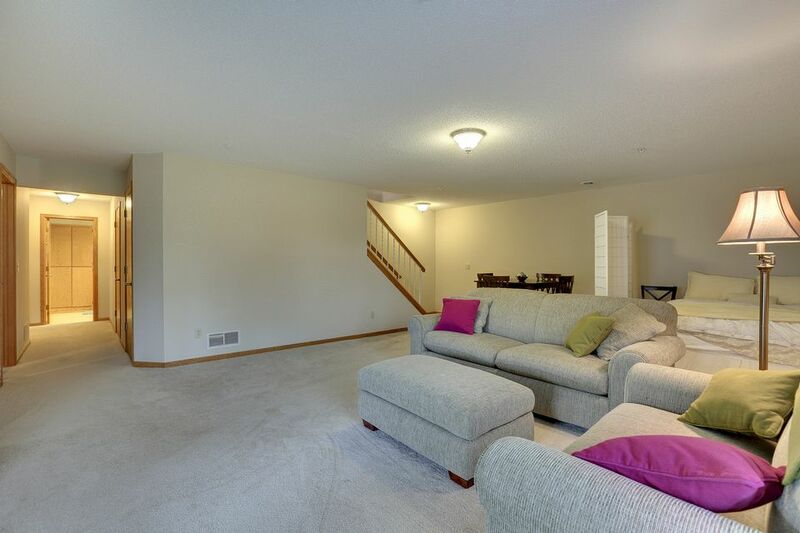 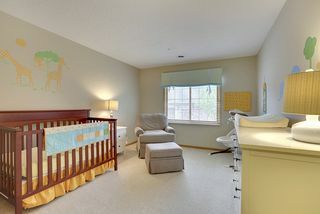 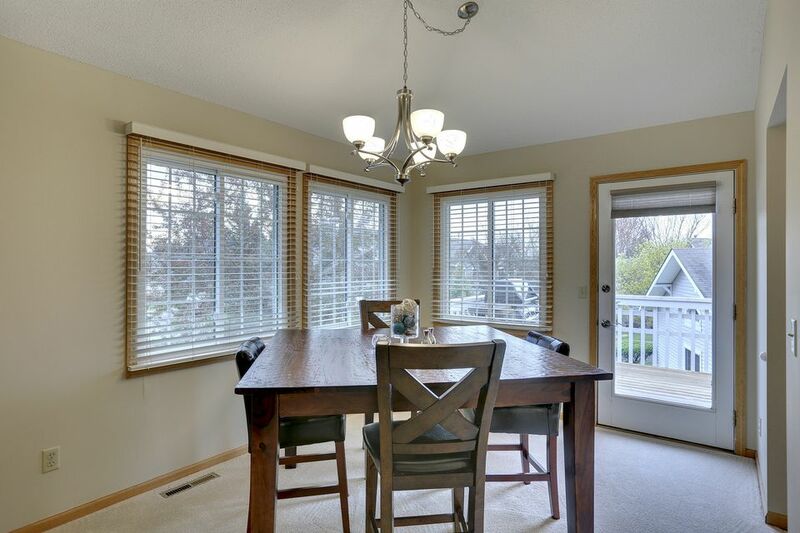 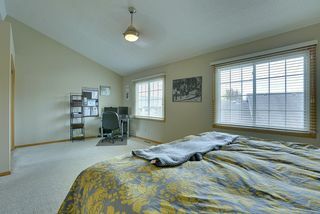 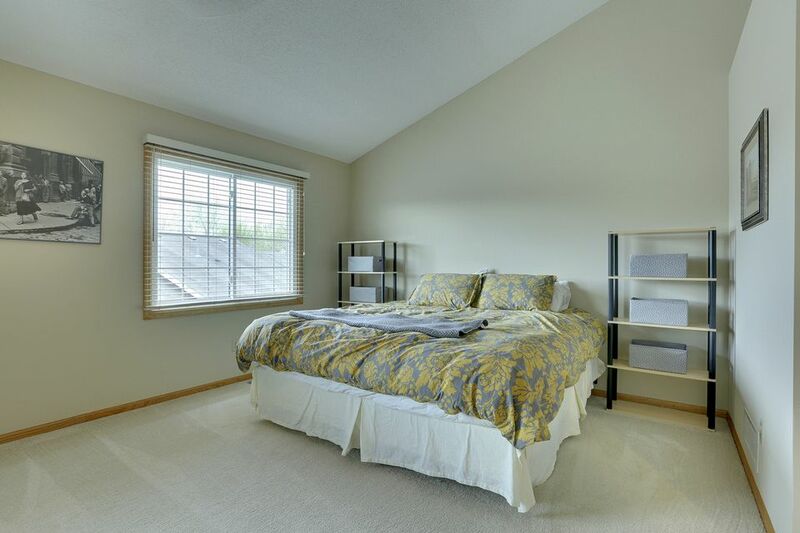 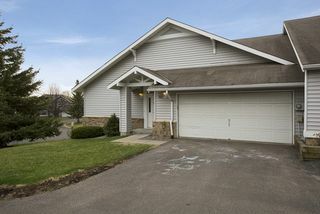 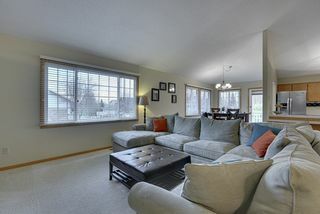 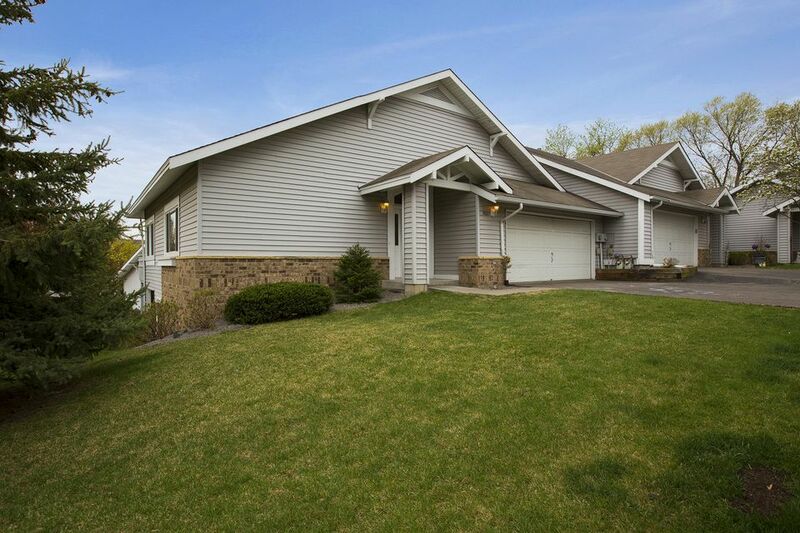 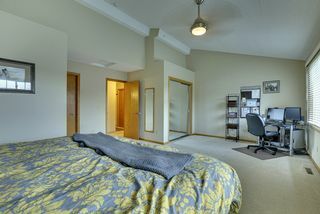 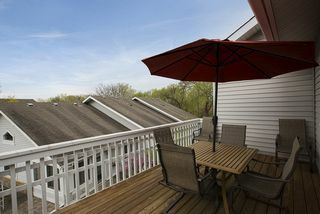 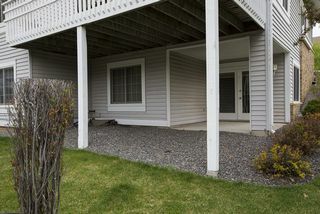 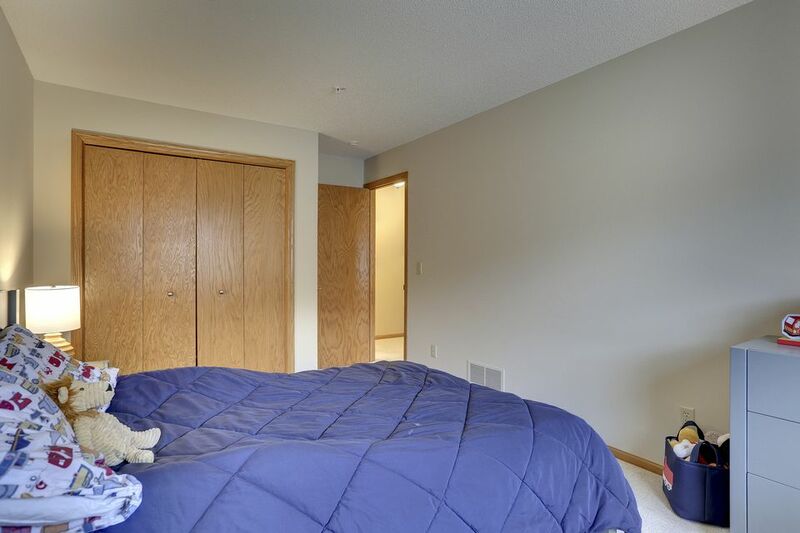 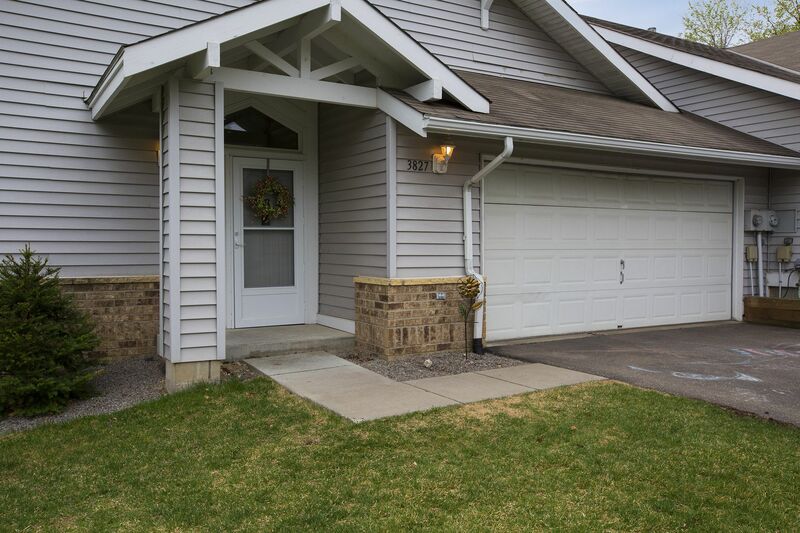 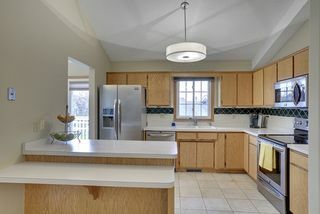 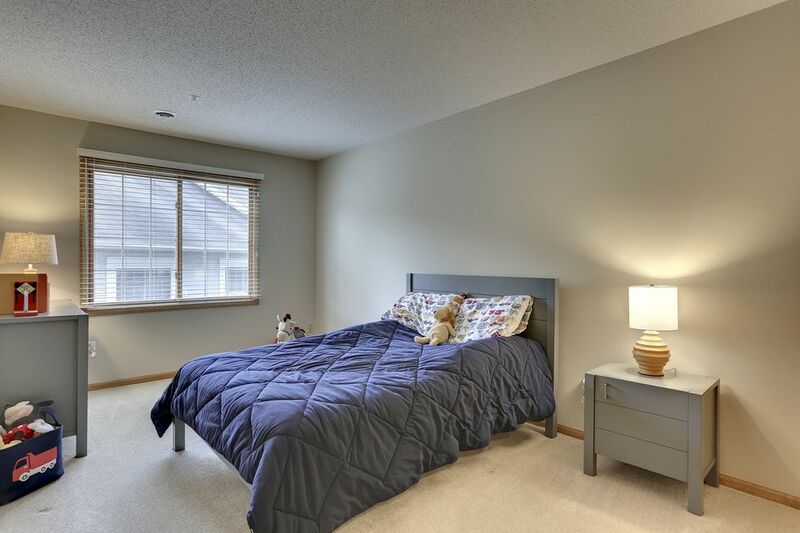 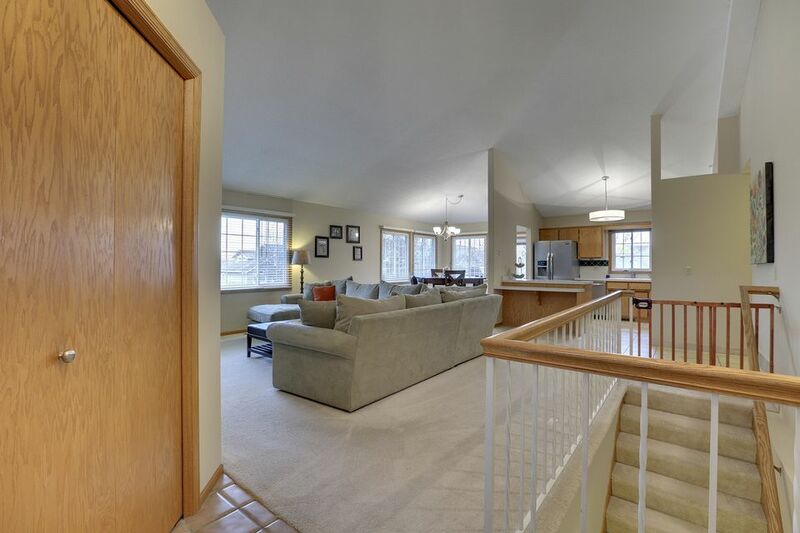 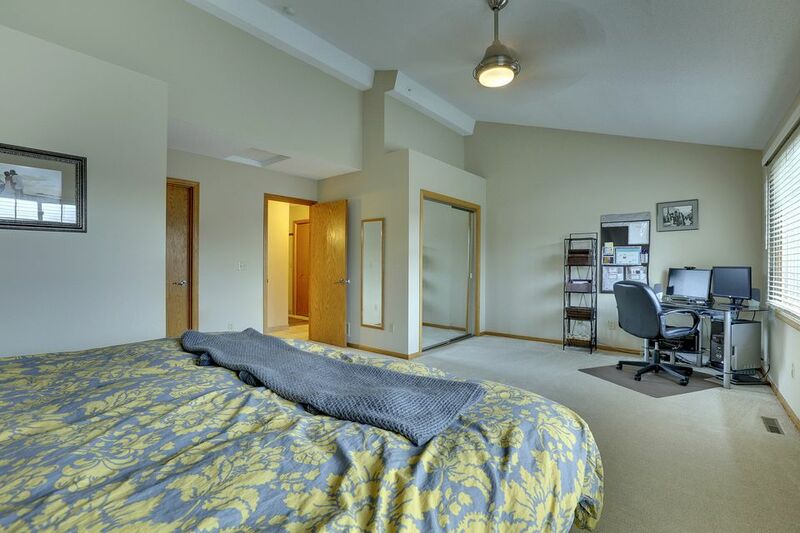 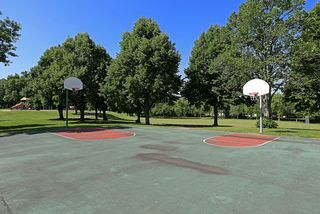 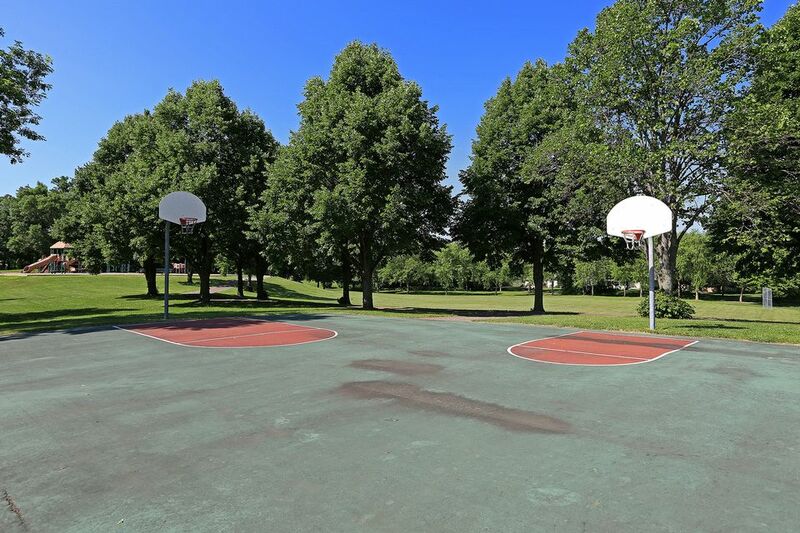 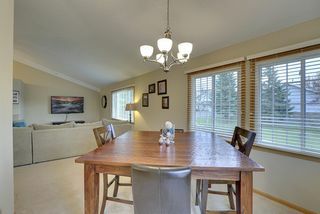 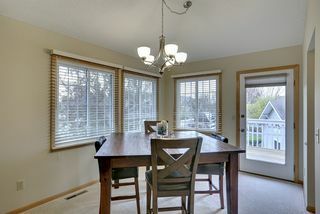 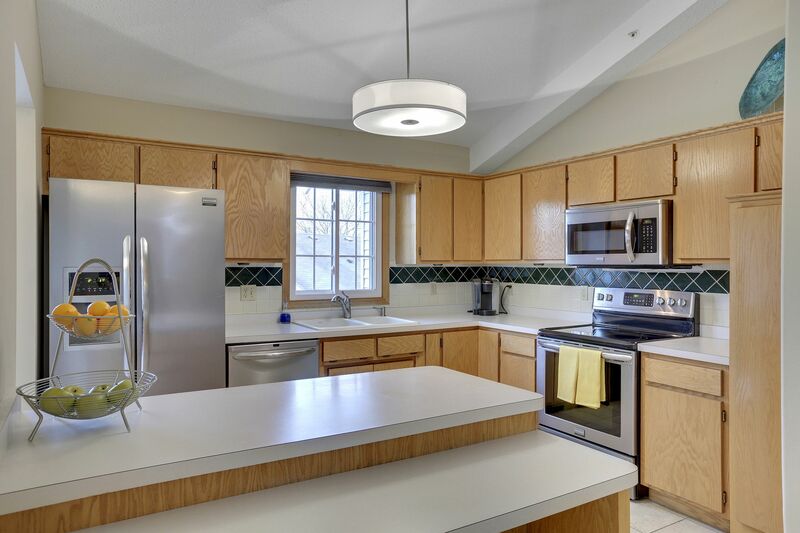 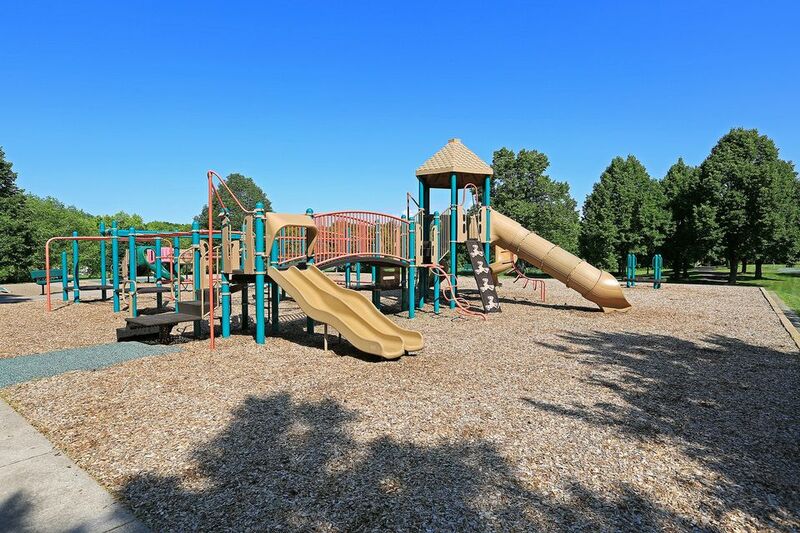 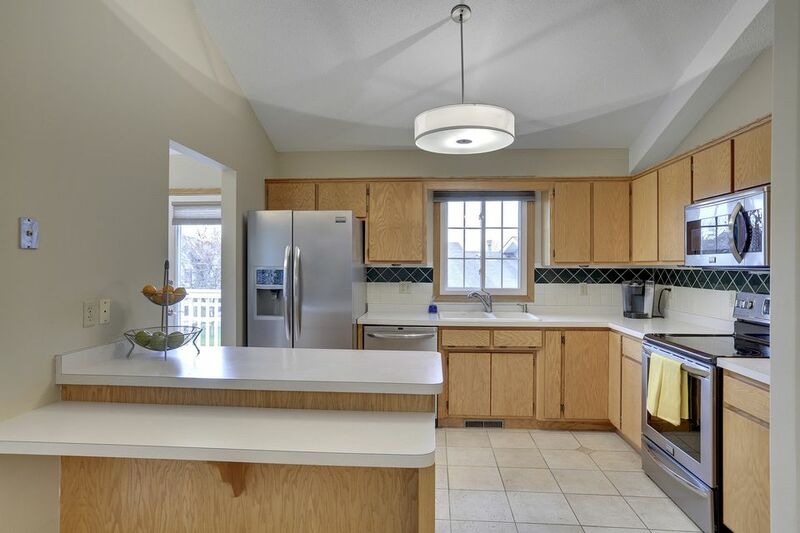 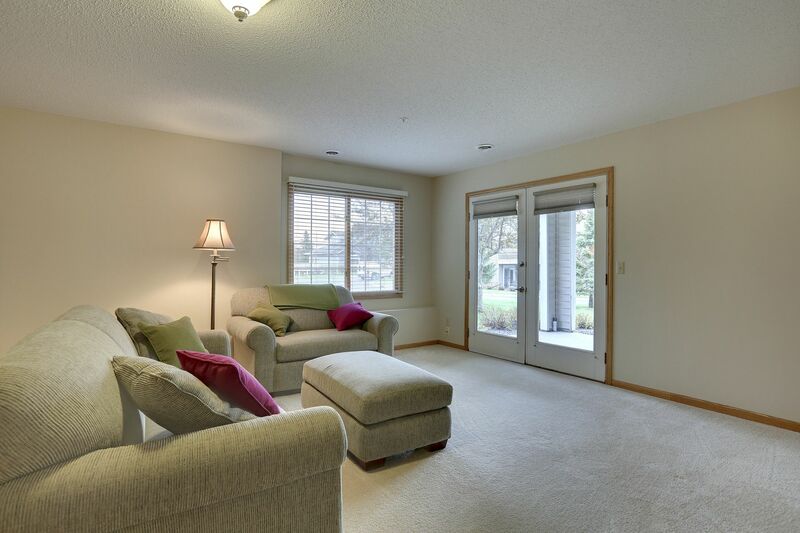 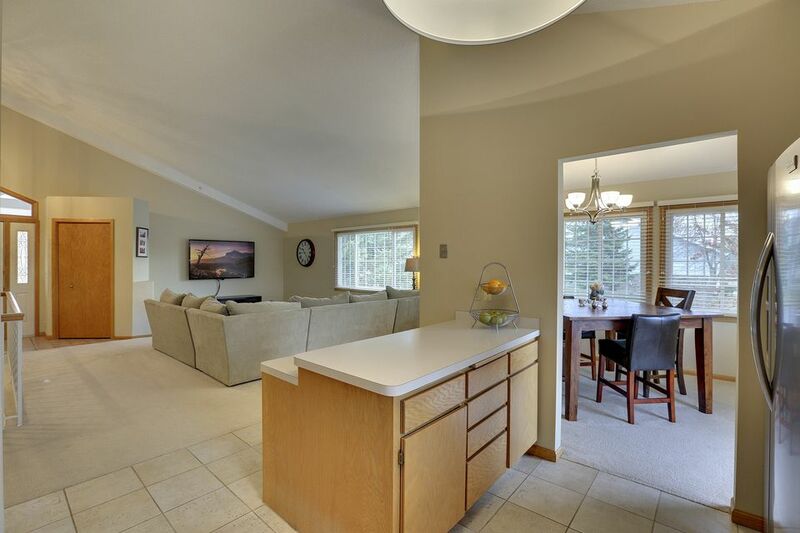 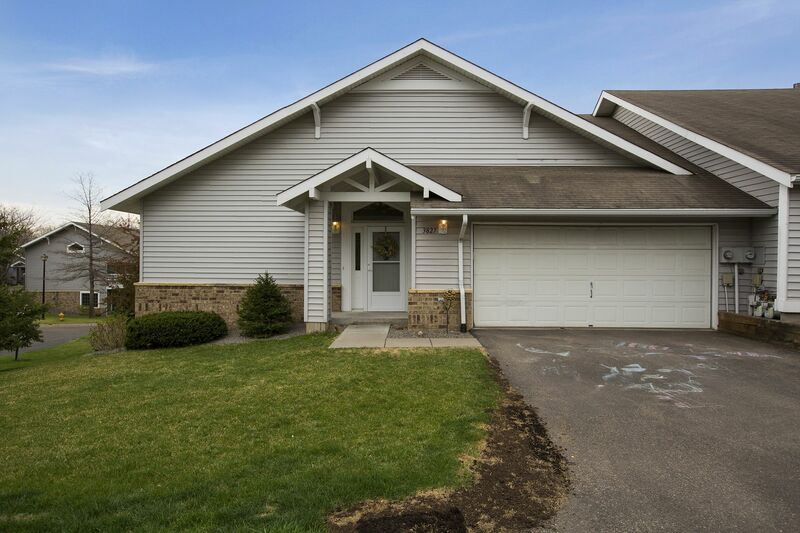 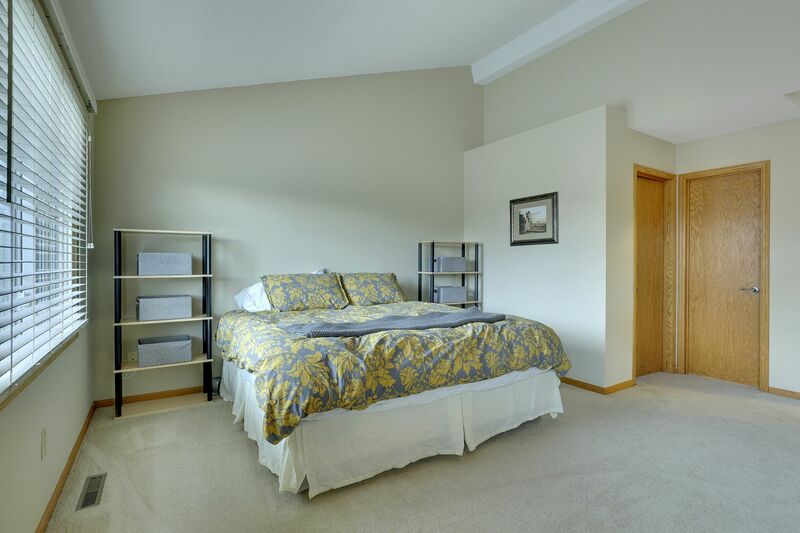 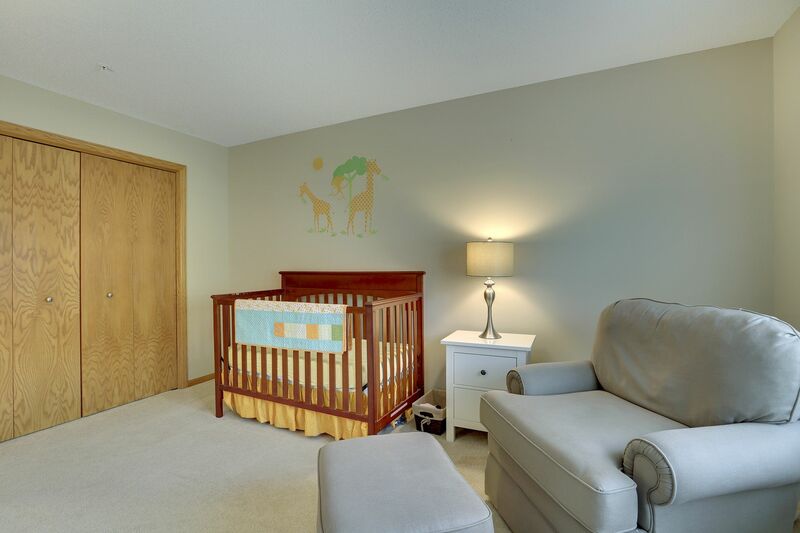 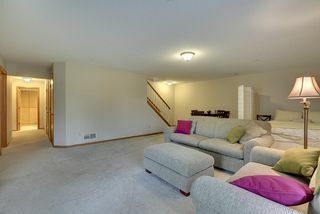 This turn-key townhome is located just steps from Plymouth Creek Park and close to shops and freeways in the award-winning Robbinsdale School District.